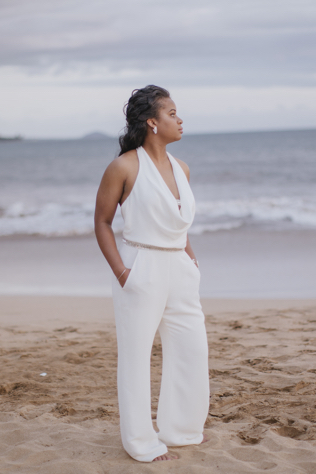 Shalanda and Samantha are a Washington D.C. duo with wanderlust, so they knew from the beginning they wanted to have a destination wedding. Maui seemed like the perfect location for a day to remember with friends and family. Selecting Sugar Beach Events for their wedding venue was probably the easiest choice to make because it checked off everything on their list: excellent food, a beautiful view for an outdoor ceremony and an indoor reception location. “Nothing compares to a Maui sunset and Sugar Beach was the perfect venue to take in the view of the sun setting over the water,” Samantha says. 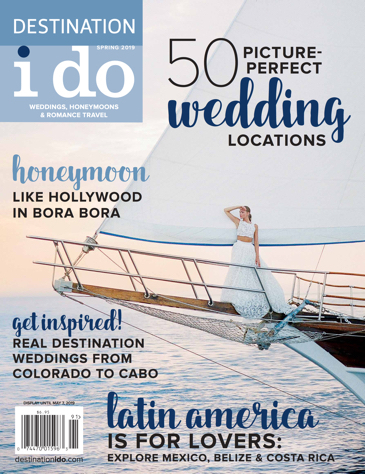 Instead of stressing over the thought of planning a destination wedding, the couple focused on creating an overall unique experience for themselves and their guests. It made it easier for the two to look at the wedding like a vacation, so they planned to take their guests to a luau the day before the wedding and a brunch the day after for some quality time with loved ones. The couple sent guests any available deals on flights to ease travel logistics. All that needed to be done was to find and share flight deals for guests to travel from most major hubs to Maui. The couple also relied on their thorough wedding website to divulge information about which airport to fly into, the hotel block, how to get around the island and recommendations for things to do. However, getting their crew to Maui was the easy part. It was staying away from DIY projects which posed a challenge for the creative pair. As fun as DIY projects are for any wedding, the two kept in mind the extra cost and time it would take to ship the pieces to the venue ahead of time. But, they simply couldn’t resist customizing. Leaning on wedding planner, Denise, was also helpful to coordinate with vendors from thousands of miles away from paradise. 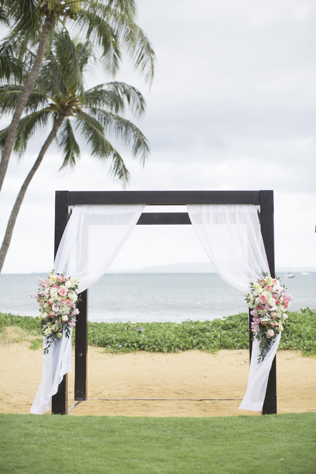 They also visited Maui ten months before the wedding to check out the venue and meet with their major vendors. “This trip really helped to make everything more real and for us to become a bit familiar with the area and our venue,” the newlyweds say. The reality of the day ended up better than imagined. 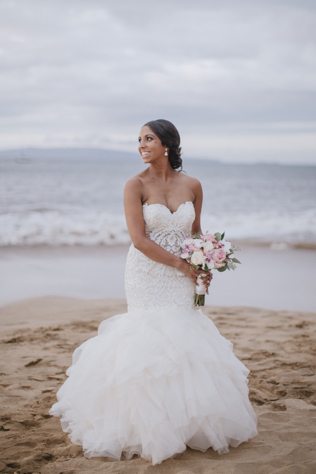 Samantha and Shalanda took pride in their decision to have a Maui destination wedding because it ended up being cheaper than the majority of options in D.C.. It also helped to keep their guest list at a manageable length. 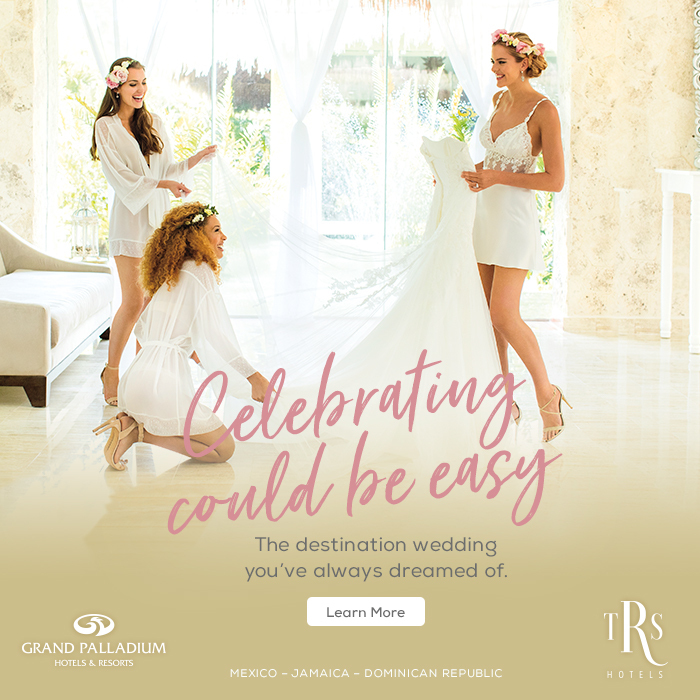 Overall, having a destination wedding is a great way to make your special day uniquely yours!